ALL Four (4) Books for just $12.00 -- MUST SELL -- OR Make me an Offer -- For ANY -- OR Multiple Items !! Buyer to pay U.S. Shipping, or items can be picked up. Cash or Money Order only. 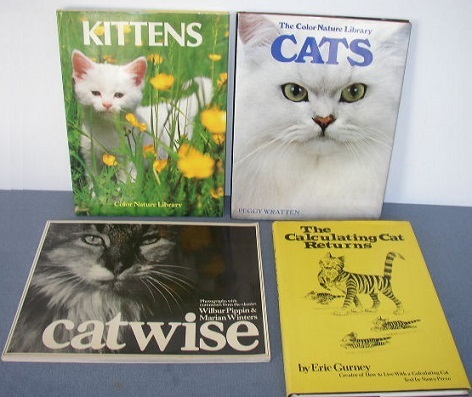 Adorable Kittens & Cats, & Catwise, & a Calculating Cat -- Filled with Wonderful Photographs, Comments & Stories ! !